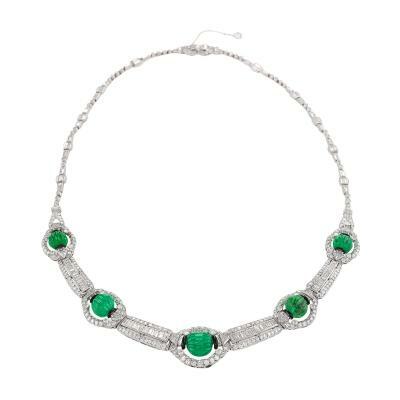 Jean Michel Schlumberger - Tiffany and Co. 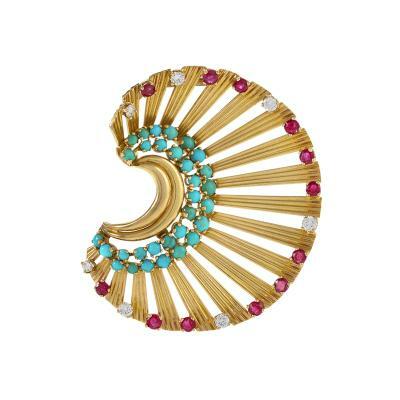 Description A French 18 karat gold and enamel bangle bracelet by Jean Schlumberger for Tiffany & Co. 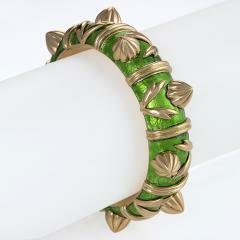 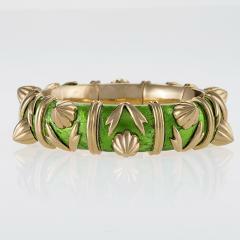 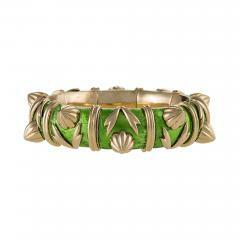 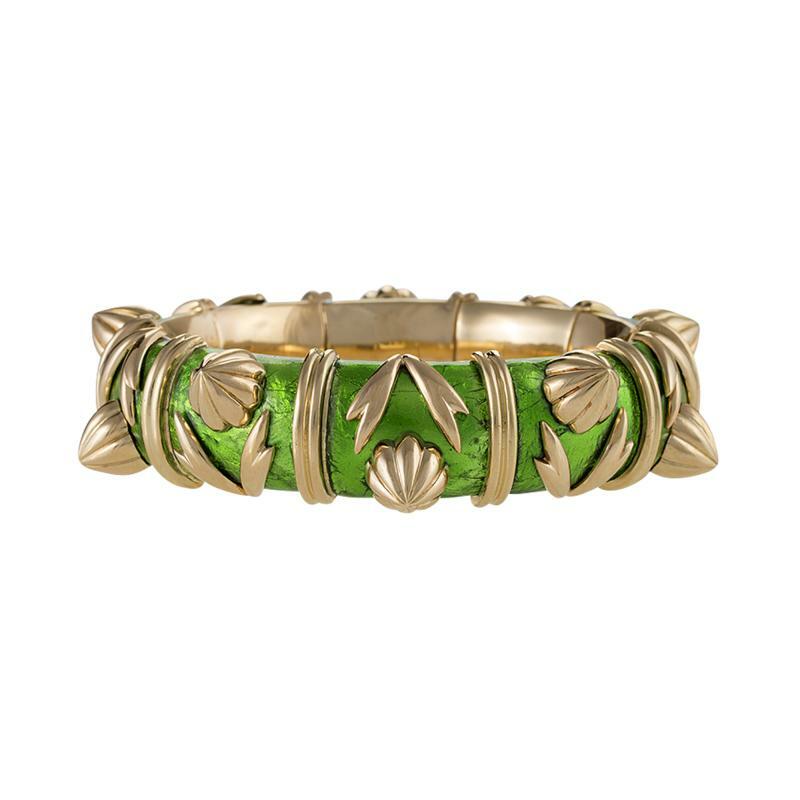 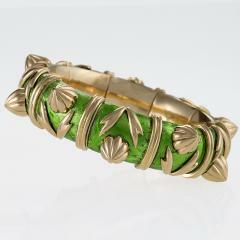 The hinged bangle bracelet is composed of green Pailloné enamel with highly unusual dimensional foliate forms. 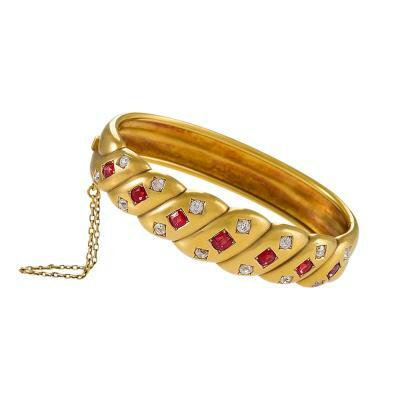 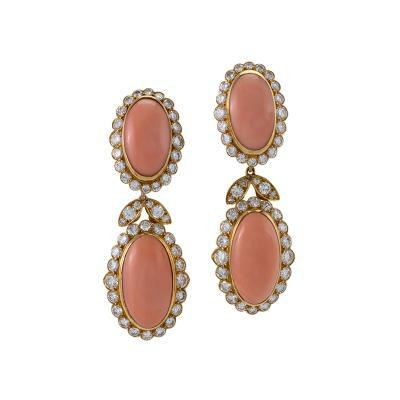 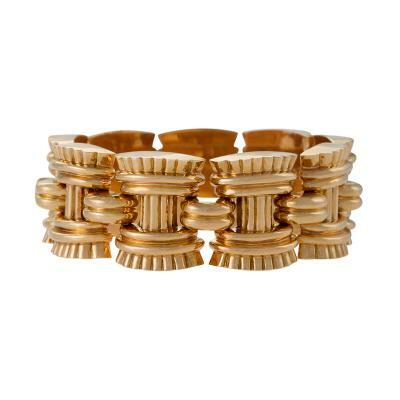 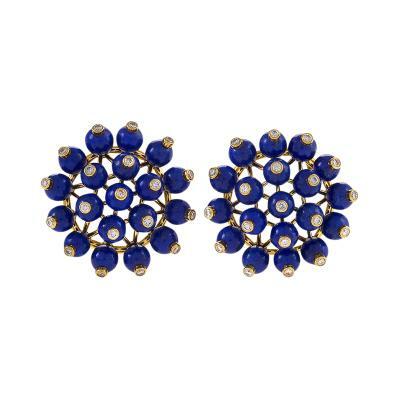 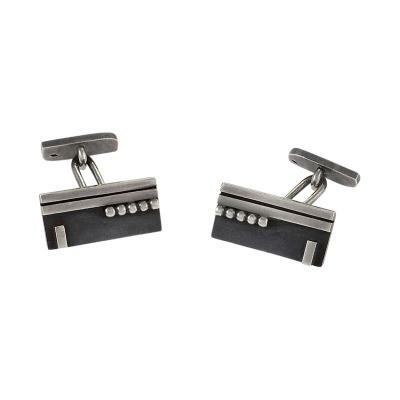 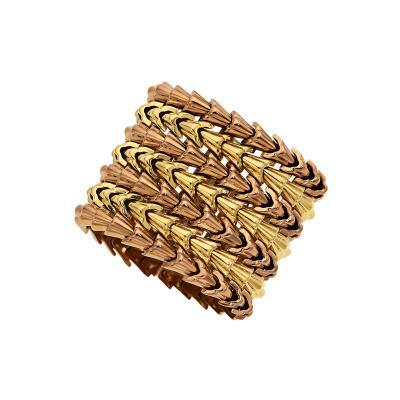 The Paillonné Enamel bracelet was first introduced in 1962 and has become one of Schlumberger's classic designs. 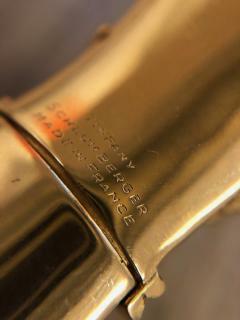 With fitted signed Tiffany case. 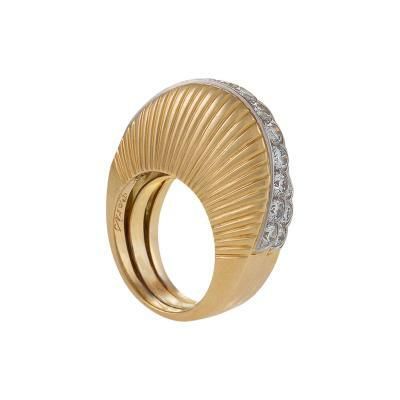 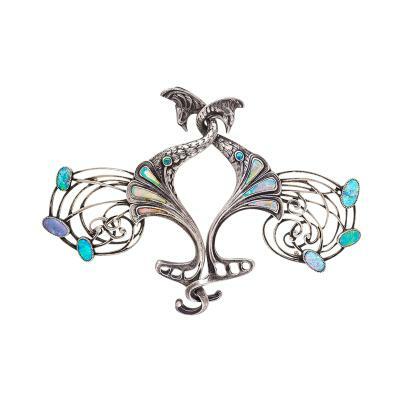 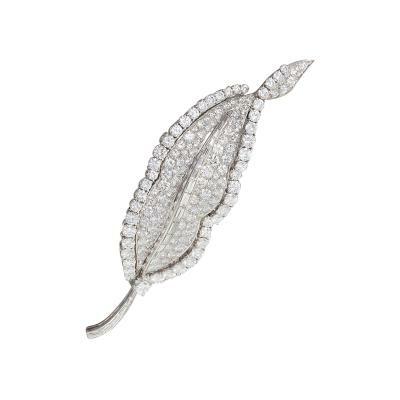 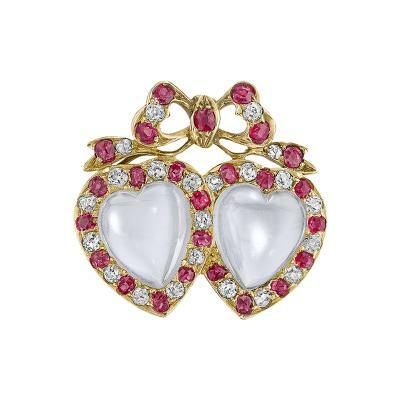 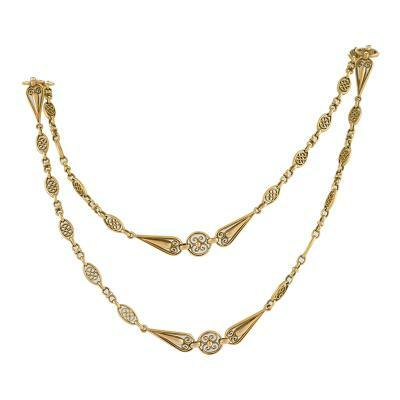 Similar pictured in The Jewels of Jean Schlumberger, by Chantal Bizot, Marie-Noel de Gary, Evelyne Posseme, Preface by Helene David-Weil, Harry N. Abrams, 1995, page 66-67.